Rabbits are able to express pain through grimaces. 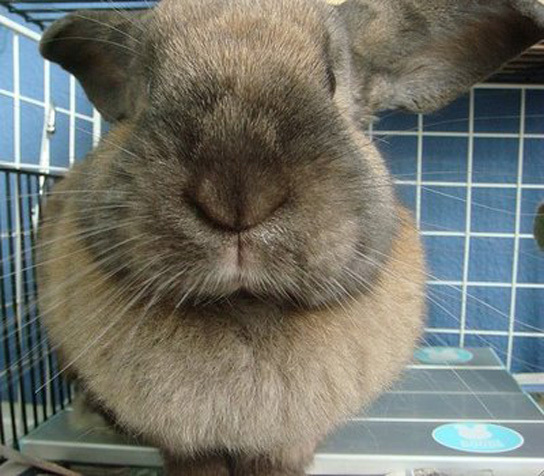 Rabbits have become the latest focus of scientists trying to measure animal discomfort by monitoring facial expressions. Traditionally, researchers had to rely on after-the-fact measurements involving weight loss or food and water consumption, as well as subjective judgments done by the researchers themselves. Scientists have been able to adapt the earlier discovered mouse grimace scale to rabbits. Matthew Leach, an animal welfare researcher at the Newcastle University in the UK, has been working on the various pain expressions in different animals. He’s been able to develop a rabbit grimace scale. The findings were published in the journal PLoS One. The scale relies on scores, such as narrowing of the eyes and bulging of the cheeks, varying from 0 and 2. The combined score indicates the total amount of pain. The scale, which was initially developed for mice, was quickly adopted by veterinarians to assess post-operative pain among animals. The rabbit grimace scale was prompted by the Swedish government, which wanted to assess how painful ear tattooing was. The procedure is commonly used to identify animals in agriculture and breeding shows. As expected, the rabbit scale has a significant overlap with the existing mouse and rat scales. 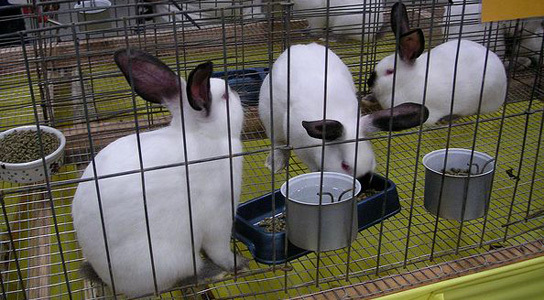 Scores for rabbits tattooed without anesthetic averaged 4 after the procedure, whereas before treatment, after sham treatment, and after treatment with local anesthetic, the scores averages less than 2. A difference of at least 2 is a significant result in this study. The team is now working on scales for rhesus macaques, as well as collaborating on scales for lambs, horses, and pigs. Be the first to comment on "Rabbit Pain Can Be Assessed Through Grimace Scale"